LAGOS—THE Institute of Chartered Accountants of Nigeria, ICAN, has inducted 650 new members into the Association of Accounting Technicians, West Africa, AATWA. 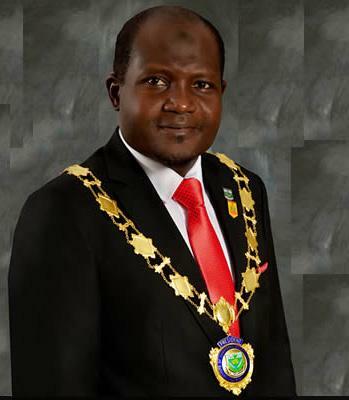 Speaking at the 47th AATWA, Induction Ceremony in Lagos, President of ICAN, Mallam Ismaila Zakari, urged the new members to live above board while upholding the principles of accuracy and integrity. In her paper titled: “Behaving Ethically to Uphold Enduring Values,” Chief Executive Officer, TOMAG Consulting, Mrs. Tope Omage, blamed accountants for facilitating the looting of treasury, falsification of financial records and budget padding. She said that 74 percent of the fraud committed makes use of weak internal controls, adding that KPMG’s Global Fraud Patterns showed that 40 percent of frauds are committed by people within the ages of 36 to 45; 85 percent by men; 82 percent by management (That is, 29 percent by management, 35percent by senior management, 18 percent by the board); 90percent by people that have been with the company for over three years (29 percent 3-5 years, 27percent 6-10 years, 33percent more than 10 years); 32percent by the finance department, 25percent by operations, and 26percent by the CEO’s office. She stated: “Fraud encompasses a range of irregularities and illegal acts characterized by intentional deception or misrepresentation, which an individual knows to be false or does not believe to be true. “Unfortunately, corruption is a cost of doing business. Bribery, a price, reward, gift, or favour bestowed or promised with a view to pervert the judgment of or influence the action of a person in a position of trust. “Acting in ways consistent with what society and individuals typically think is good values. Ethical behavior tends to be good for business and involves demonstrating respect for key moral principles that include honesty, fairness, equality, dignity, diversity and individual rights. “Why should accountants be ethical? Finance and accounting are the lifeline of companies, if the companies are formed to make money then the stakeholders should be able to rely on the reports and that can only be possible if the integrity of the persons are above board,” she said. The post ICAN inducts 650 new members, calls for transparency appeared first on Vanguard News.